The Revue Neurologique was published throughout the 20th century without interruption and is indexed in all international databases . Today, ten annual issues provide original articles, brief reports, general reviews, editorials, and letters to the editor. The journal is the official publication of the French Society of Neurology. 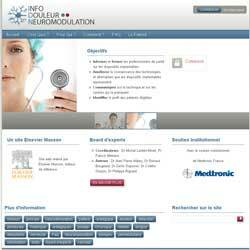 Its quarterly companion journal Pratique Neurologique is devoted to CME content. What’s new in multiple sclerosis genetics? Neurologic manifestations of type I Gaucher’s disease: is a revision of disease classification needed? Devic’s neuromyelitis optica in Morocco. A study of 9-cases. Validity of the five-word screening test for Alzheimer’s disease in a population based study. Severe visual loss due to retinal artery occlusion associated with Susac’s syndrome: a case report. Acute motor axonopathy, enteroviruses and amyotrophic lateral sclerosis: is there a link? What can we learn from animal models? Problems of treating writer's cramp with botulinum toxin injections: results from 10 years experience. Pathophysiology and therapy of L-Dopa induced dyskinesia. Lessons from macrophagic myofasciitis: towards a definition of a vaccination adjuvant-related syndrome. Treatment of peripheral neuropathies with neurotrophic factors: animal models and clinical trials. Importance of molecular genetic analysis of the PRNP gene in patients with cerebellar ataxia: a new case of fatal familial insomnia. Plasticity of motor maps in primates: recent advances and therapeutic perspectives. Orbital myositis: a report of three cases with a study of clinical and radiological features of disease progression. Pontine infarction after a base of skull fracture. Cranial neuritis due to Lyme disease: MRI features after contrast enhancement. At the interface between developmental and degenerative disease: Cerebellar disorders of infancy - a classification and practical approach to diagnosis. Melanocytic meningitis with a large congenital melanocytic naevus: neuro-cutaneous melanosis. Muscle granulomata: clinico-pathological correlations and immunohistochemistry in seven cases. Relapsing-remitting inflammatory disease of the central nervous system with normal MRI: multiple sclerosis or phenocopies in a series of 15 patients? Neuropsychological and scintigraphic features of fronto-temporal dementia preceding amyotrophic lateral sclerosis. Intravenous immunoglobulins for relapsing-remitting multiple sclerosis after failure of treatment with other immuno-modulators. An evaluation in 18 patients. Primary dural lymphoma: a report of two cases with a review of the literature. Cellular aspects of neuroinflammation in Guillain-Barré syndrome (GBS): a key to a new therapeutic option? Isolated pontine infarcts: vascular anatomy helps understand the clinical signs. Paraplegia due to an intracranial dural arterio-venous fistula draining around the spinal cord. Natural history of patients surviving very severe strokes. Argyrophilic inclusion body disease, a frequent and largely underestimated cause of dementia in the elderly. Genetics of epilepsy: current knowledge and perpectives. Aneurysm of the anterior cerebral artery revealed by an isolated hemianopic scotoma. Sub-cortico-frontal encephalopathy with choreic movements related to recombinant interferon-alpha-2b. Slow channel syndrome due to a chromosomal translocation between 2q31 and 9p27. Encephalopathy associated with severe bacterial infections: presuppurative encephalitis” or toxi-infectious disorder”? Chronic inflammatory demyelinating polyradiculoneuropathy with hypertrophy of the spinal roots, brachial plexus and cranial nerves. Recurrent idiopathic stupor: is there a role for exogenous and endogenous benzodiazepines? Long-term treatment of Alzheimer’s disease. Follow-up of 255 patients treated with tacrine for 4 years. Non-ketotic hyperglycaemia presenting with hemichorea and hemiballismus. Rapidly evolving diabetic mononeuritis multiplex. Favourable outcome after immunosupressive treatment. Evaluation and management of non traumatic intra-cerebral hemorrhage. Management of newly diagnosed seizures: a French experience. Idiopathic SUNCT syndrome: two new French cases. Identification of variables associated with time of hospital admission after ischaemic stroke: a study of a rural population. Susac’s syndrome in a 35 year-old man. Chronic inflammatory demyelinating polyradiculopathy (CIDP) in patients with solid organ transplantation: a clinical, neurophysiological, and neuropathological study of 4 cases.